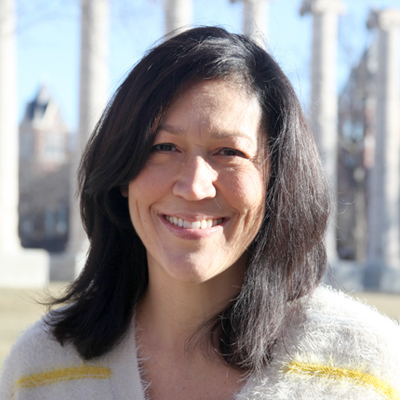 Lisa Y. Flores is a Professor and Program Director of the Counseling Psychology program. She has expertise in the career development of women and Latino/as and the integration of Latino/a immigrants in rural communities. She has published over 65 journal publications, 18 book chapters, and 1 co-edited book and presented over 200 conference presentations in these areas. She has been PI and co-PI on grants funded by NSF and USDA to support her research. Her current grant supported research is a 5-year longitudinal study of cultural and social cognitive influences in the persistence intentions, academic engagement, and academic satisfaction of women and Latino/as in engineering. She is Editor of the Journal of Career Development and past Associate Editor of the Journal of Counseling Psychology, and has served on the Editorial Boards of the Journal of Vocational Behavior, The Counseling Psychologist, Journal of Counseling Psychology, and Career Development Quarterly. She is a Fellow of the American Psychological Association (Divisions 17, 35, 45) and has received several honors for her work, including the Distinguished Career Award from the Society of Vocational Psychology, the Shining Star Award from the National Multicultural Conference and Summit, the John Holland Award for Outstanding Achievement in Career or Personality Research from the Society of Counseling Psychology, and early career professional awards from both the Society of Counseling Psychology and the National Latina/o Psychological Association.